Ace Afro Pop rocker and MUSIGA Pro member Becca is to perform at the Global Goals Citizens Festival in New York City on Saturday, September 26. The festival, headlined by Beyoncé, Pearl Jam, Ed Sheeran, and Coldplay, will be held on the Great Lawn of New York City’s Central Park, where 60,000 global citizens will gather. 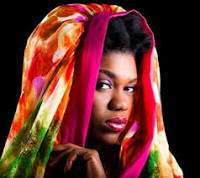 Becca is among a number of African artistes including Sarkodie, Yemi Alade of Nigeria, Mafikizolo of South Africa and Sauti Sol of Kenya who feature on the African song of the Global Goals Citizens campaign, Tell Everybody. The Global Goals Citizens campaign involves a plan to end extreme poverty, tackle inequality and reduce the impact of climate change by 2030. This agenda is championed by a group of activists led by the film-maker Richard Curtis, whose Project Everyone initiative – run in partnership with the campaign groups action/2015 and Global Citizen – aims to reach 7 billion in seven days. The whole idea is to push for the full implementation of the agenda by “making the goals famous”. An excited Becca says, she is delighted at the opportunity to add her voice to such a worthy cause which is line with her own charitable work in Ghana. Prior to her appearance on Saturday at the Central Park concert, Becca will join a lineup of top performers at an exclusive event for Sir Richard Branson’s Virgin Unite Foundation which will be attended by some of the most powerful citizens on earth.